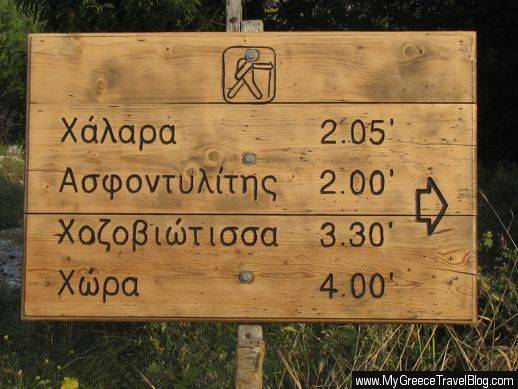 Start points for many of the hiking routes on Amorgos are well-marked by signs. This one even shows the approximate walking times to the destinations indicated. 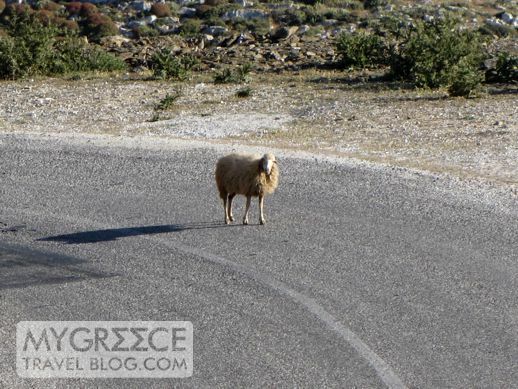 Wonderful walks: If you like to see vacation destinations on foot rather than through the windows of a rental car or tour bus, you can’t beat the Greek Islands. 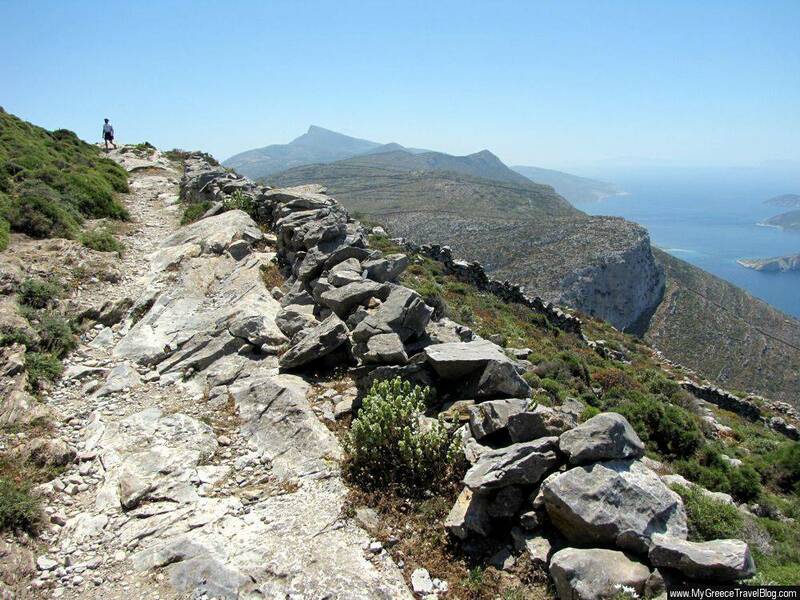 Most islands, especially those in the Cyclades, are ideal for walking and hiking. 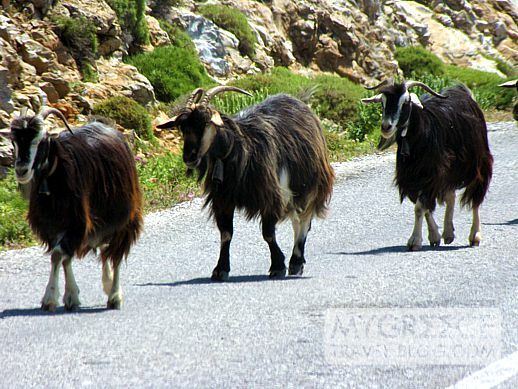 Some, like Sifnos and Amorgos, boast extensive networks of footpaths and donkey trails that take visitors to scenic parts of the island that can’t be reached by vehicles. 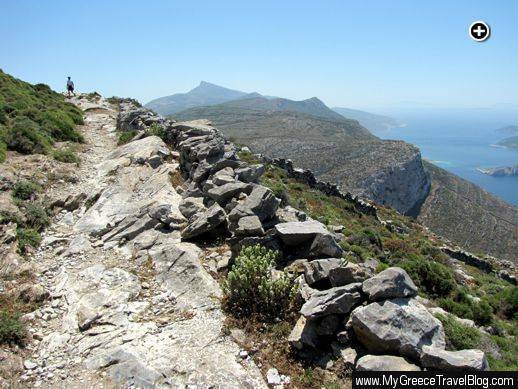 Amorgos is one of our favourite destinations for hiking.